The Mountain View Thunder qualified for the state tournament Saturday with a 1-0 overtime victory over Bonney Lake. 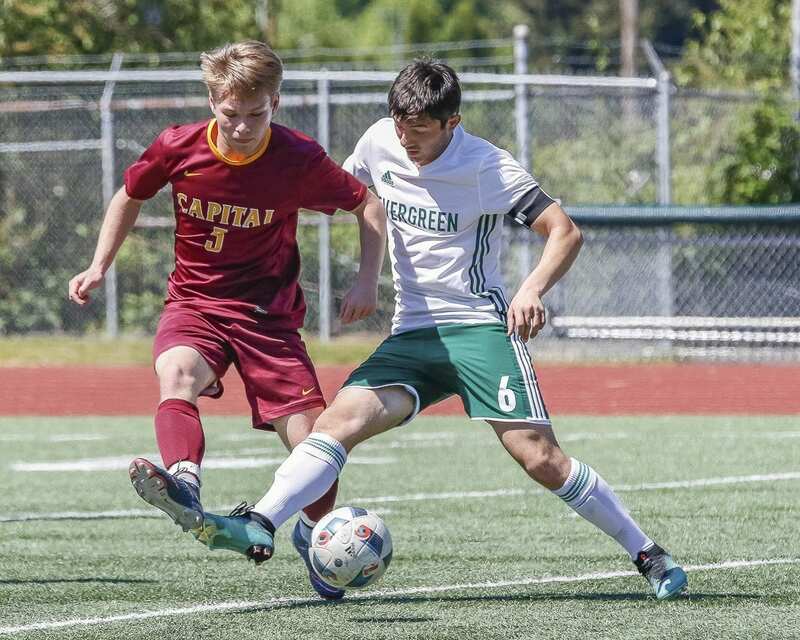 A few minutes after that match ended, the Evergreen Plainsmen topped Capital 2-1 to make it to state. The Plainsmen will host Shorecrest at 7 p.m. Wednesday at McKenzie Stadium in the first round, according to the Washington Interscholastic Activities Association bracket. Evergreen, the 3A GSHL champion, is returning to state for the first time since 2010. 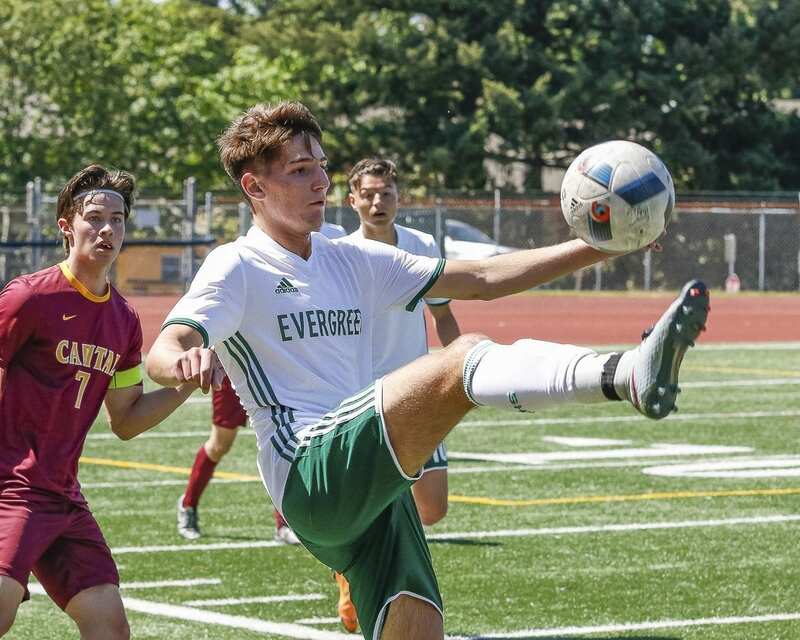 Evergreen has not won a state tournament match since 2002. The Thunder, who finished second in the 3A GSHL, will hit the road for the first round of the state tournament. Mountain View will face Kennewick at 7 p.m. Tuesday at Lampson Stadium in Kennewick. Mountain View is returning to state for the first time since 2014. The Thunder last won a state tournament match in 2012 when Mountain View won the first two of the tourney to reach the final four. 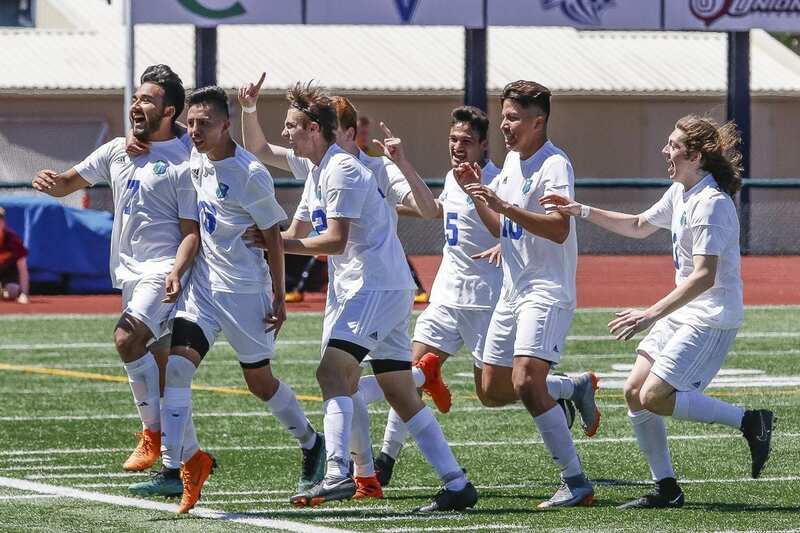 It was a big weekend all over the county for soccer, too. The Storm are back at state for the first time since finishing third in 2014. Skyview won the state title in 2012. 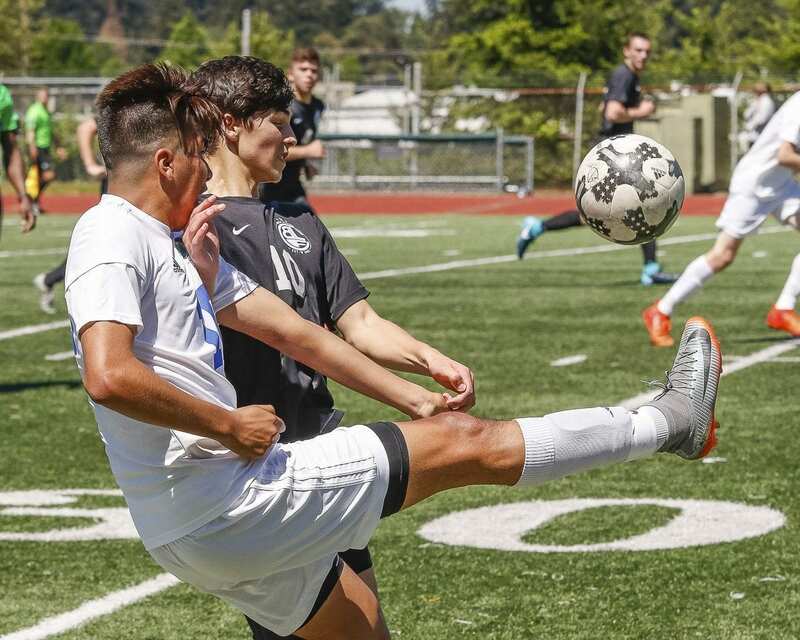 In 2A soccer, Columbia River and Woodland clinched berths last week, and then the two played for the District 4 championship on Thursday. The Chieftains remained undefeated this campaign with a 2-1 victory. Columbia River will host Clarkston in the opening round of state at 5 p.m. Wednesday at Kiggins Bowl. This will make for a doubleheader at the stadium as Skyview plays there in the 4A tourney at 7 p.m. This is the third consecutive state appearance for the Chieftains, who are hoping to earn a trophy for the first time in program history. Woodland will take on Highline at 6 p.m. Tuesday at Highline Memorial Stadium. This will be Woodland’s second appearance in state soccer and first since 2002. In 1A, the La Center Wildcats got hot at the perfect time, winning three matches by a combined score of 11-0 to win the District 4 championship. La Center qualified for state last week with a win in the semifinals then beat United 2-0 Saturday for the district crown. The Wildcats will “host” Seattle Academy at 7 p.m. Tuesday at Woodland High School. This will be the third appearance in the past four seasons for the Wildcats, who also are hoping to earn a trophy for the first time in program history. The state baseball tournament begins at regional sites in all classifications. Four teams meet up on Saturday with one survivor from each region advancing to the final four the following weekend. Clark County has three baseball teams left, and two of them could meet up in a state regional final. The 4A Greater St. Helens League champions Skyview Storm rallied after a first-round loss in the bi-district tournament to win three in a row to finish fifth and earn a trip back to state. Skyview is headed to the Everett region and will play Inglemoor at 1 p.m. Saturday at Everett Stadium. South Kitsap will take on Jackson at 10 a.m. The two winners will meet up 45 minutes after the conclusion of the 1 p.m. game. The Storm reached the final four last season and finished third. Skyview won the 2013 state title. The defending state champions rallied in the regular season to claim a tie for the Trico League title then stayed hot in the district tournament. King’s Way Christian won the District 4 title with a 4-2 win over Montesano on Friday. La Center, also a Trico League champion, lost in the semifinals of the district tournament, then had to win-back-to back games in the consolation bracket to make it to state. The Wildcats did just that, beating Hoquiam 6-2 on Friday and then taking down White Salmon 4-2 on Saturday. Now for the fun part for Clark County baseball fans: King’s Way Christian and La Center are in the same regional at state, and it is close. La Center will play Bellevue Christian at 10 a.m. and King’s Way Christian will take on Meridian at 1 p.m. at Castle Rock High School. The winners of those games will play 45 minutes after the conclusion of the 1 p.m. game, with a berth to the final four on the line. Softball’s regular season goes longer than baseball, so the district and bi-district tournaments will be held this week to determine state berths. Athletes in track and field, tennis, and golf will finalize their state championship participants this week as well. The state golf championships will be held May 22-23. Track and field championships runs May 24-26. Tennis championships are May 25-26. The team sports — baseball, soccer, softball — have their final days of competition May 25-26.